Clintonville - 3502 N. High Street, Apt. 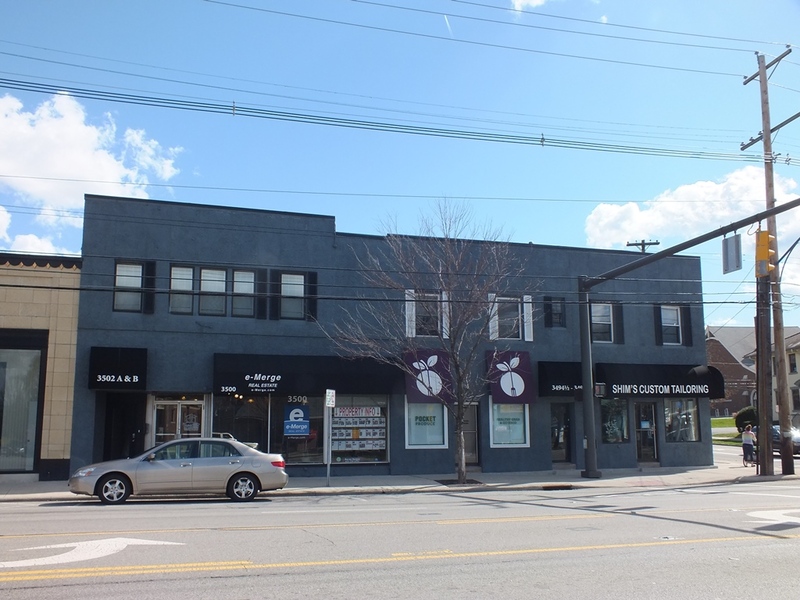 A - This 2 Story mixed use building sits on N. High Street in the heart of Clintonville. Restaurants and shops are just a short walk away. This newly renovated loft features an open floor plan, brand new kitchen, bath and tons of natural light. This loft apartment is located in the heart of Clintonville and features brand new kitchen with stainless appliances, in-suite washer and dryer, off-street parking, and a large, modern bathroom. Schedule a private showing today! Pet Policy: Tenant pays one-time non-refundable fee of $300 and additional monthly rent of $30. Utilities: Tenant is responsible for their own utilities. Rent for this apartment is $1195/month. For more information, please contact Day Companies at (614) 450-1760 or use the contact link below. Clintonville - 3502 N. High Street, Apt. A - This 2 Story mixed use building sits on N. High Street in the heart of Clintonville. Restaurants and shops are just a short walk away. This newly renovated loft features an open floor plan, brand new kitchen, bath and tons of natural light. This loft apartment is located in the heart of Clintonville and features brand new kitchen with stainless appliances, in-suite washer and dryer, off-street parking, and a large, modern bathroom. Schedule a private showing today! Pet Policy: Tenant pays one-time non-refundable fee of $300 and additional monthly rent of $30. Utilities: Tenant is responsible for their own utilities. Rent for this apartment is $1195/month. For more information, please contact Day Companies at (614) 450-1760 or use the contact link below. To see our other available homes, please visit Day Companies.